Is the Electromagnetic Spectrum a Scarce Resource? How Can Civil Society Engage in Spectrum Management Issues? Electromagnetic spectrum—the frequencies on which all voice and data signals are transmitted—has been viewed for decades as a scarce resource and leased to the highest bidder like a piece of valuable real estate. This approach to regulating the use of spectrum, however, is no longer appropriate in a digital age that demands that all citizens have access to means of mass communication. This report makes some suggestions for how those interested in media development can better engage in the current debates that will shape the future of spectrum policy and regulation. • Actors interested in media development and freedom of expression can easily inform themselves about the current issues related to spectrum management; this report summarizes those issues, and highlights resources for further research. • A “spectrum commons” approach – one that focuses on treating specific bands of spectrum as openly accessible public resources – may foster media pluralism by decreasing barriers to the free flow of information. • Networks are forming around this issue; this report also highlights the major organizations working on this issue from a perspective of rights, freedom of expression and media development. Whenever we listen to a favorite band on the radio, watch a presidential debate on television, or access a social media profile on a mobile device, we are making use of the electromagnetic spectrum: the frequencies on which voice and data signals are transmitted. The rapid shift to digital communication, however, is increasing the demand for spectrum, especially as the Internet becomes one of the primary conduits through which media content reaches citizens. In particular, the use of mobile technologies, such as 3G/4G and other wireless technologies, such as Wi-Fi, has increased dramatically over the past decade. This has led to a growing interest in reforming the rules and regulations by which spectrum is managed to create a system better suited to today’s diverse media ecosystem. How electromagnetic spectrum is managed has an enormous, albeit often overlooked, impact on media development efforts. It effectively shapes the way that the vast majority of media outlets are able to deliver content to the public, directly or indirectly. Overly restrictive management of the spectrum can serve as a form of censorship by limiting the perspectives available to a population. Management that privileges certain technologies or services over others can also affect which and how content reach the users. At the other extreme, a total lack of oversight could generate disorder and chaos that would make it hard for organizations to reliably operate. Thus, a well-defined, transparent, and equitable spectrum management process that takes into account the needs of all relevant stakeholders is necessary in order to create an environment that serves the public good and enables media development. Those who are interested in fostering plural and independent media have often limited their engagement in spectrum management to acting as a watchdog, ensuring that spectrum is treated as a public resource and that this allocation process is not deliberately used to discriminate against critical or local voices. At this critical juncture, however, it would be wise for supporters of media development to become more actively engaged in policy debates about spectrum management to make sure that both national and global policies preserve the ability of independent media to flourish. Otherwise, discussions might be dominated either by authoritarian regimes seeking to limit media independence or by large media and technology corporations often primarily concerned with maximizing market power rather than media pluralism. This report gives an overview of some of the current debates on spectrum management, with a particular emphasis on how they will impact media development efforts. It points to how new spectrum management practices likely to emerge from these discussions will reshape the playing field itself. It also gives guidance for how organizations working in the field of media development can engage with the decision-making processes and are likely to shape the outcomes of the debate. Ultimately, more informed and active involvement by those concerned with media development would greatly benefit spectrum management debates, and would ensure attention is paid to what can be done to foster diverse media ecosystems. A fundamental question in the debate over spectrum management is whether or not spectrum can be considered a scarce resource. For decades, policies for spectrum management have been premised on the assumption that spectrum is by nature limited, but as new technologies increase the efficiency of spectrum use, that assumption has come into question, and with it the predominant approach to spectrum management. The British economist Ronald Coase promoted the view of spectrum as a limited resource in a seminal 1959 article that ended up redefining broadcast regulation. 2 He argued that because of spectrum’s supposedscarcity, its allocation should be guided by market mechanisms as opposed to the then dominant “command and control” system characterized by the strong presence of the government. Establishing spectrum property rights was the best way for regulators to serve the public interest because, while the “command-and-control” model might safeguard public interest, it may not be the most efficient one or the best way to promote innovation. This meant that frequencies of spectrum should be licensed to market players who would then have a financial incentive to make the best use of the spectrum they controlled. This market-based distribution of spectrum took the form of large competitive processes—generally spectrum auctions—in which governments grant use of specific spectrum frequencies to the highest bidder for a specified number of years. Such auctions have become increasingly popular worldwide over the past decades, even as the drawbacks to this approach were widely recognized. Countries should focus on taking advantage of the “digital dividend” to improve the media options available. For example, in media markets previously characterized by the lack of diversity and local content, these freed frequencies can be used to change these characteristics. In a joint declaration the Special Rapporteurs for Freedom of Expression from the United Nations, the Organization for American States (OAS), the Organization for Security and Co-operation in Europe (OSCE), and the African Commission on Human and People’s Rights (ACHPR) indicated that when deciding upon TV services that have been digitized, “the promotion of diversity should be a mandatory criterion to be taken into account in decision-making.” 11 Changes will not occur automatically because of this transition and there needs to be an effort towards making these goals a reality. In addition to changing frequencies, the transition to digital television also requires that people have digital-ready television sets. This investment in new technology is, of course, most onerous for those with the fewest resources. It is crucial to assure that the transition does not leave segments of populations behind. Different countries, such as Australia, Spain, United Kingdom, and the United States, have provided subsidies for the installation of converters for the low income populations. This is a good way to ensure that underprivileged populations continue to have access to television after the analogue switch-off and old televisions cease to function. In fact, television is still a very important medium in many countries. The transition to digital television offers many benefits, including better quality transmission and potentially more content, but if large segments of the population are left behind, or if the freed frequencies are not properly managed, it will be a missed opportunity. Spectrum harmonization refers to efforts to standardize allocation of spectrum bands across national borders. 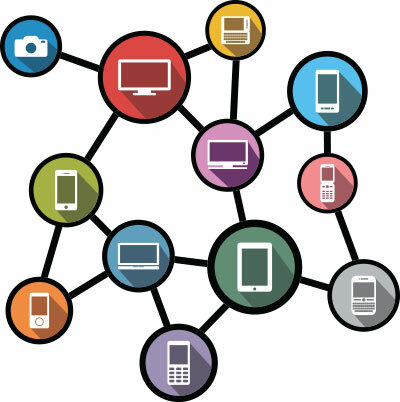 Harmonization is important, for example, because it enables the global roaming and interoperability of devices. This is particularly important in an increasingly “flat” world where individuals depend more and more on personal electronic devices, such as mobile phones. Besides the improvements related to television, a number of new technologies possess the potential to make the use of spectrum even more efficient and reliable, especially for the provision of broadband. Wi-Fi and other new and emergent technologies are making obsolete past limitations on how spectrum was allocated, assigned, and allotted. For example, some technologies now allow for “opportunistic spectrum access,” which refers to the ability to detect unused frequencies in order to make use of them without causing harm to the incumbent operating services. In the United States, the Federal Communications Commission (FCC) created TVWS regulations in 2011. 15 In 2015, the UK’s Office of Communications (Ofcom) made enabling unlicensed use of TVWS devices in the 470–790 MHz band. 16 Canada and Singapore have also recently decided to regulate the use of such technology. 17 In many other countries, however, regulatory frameworks are not yet prepared for such technologies, which therefore cannot be deployed. Another concern relates to the fact that in some cases, LTE-U signal is stronger than the Wi-Fi signal received by the user, which might cause interference. 24 It remains to be seen, therefore, whether such technologies might be able to peacefully coexist. 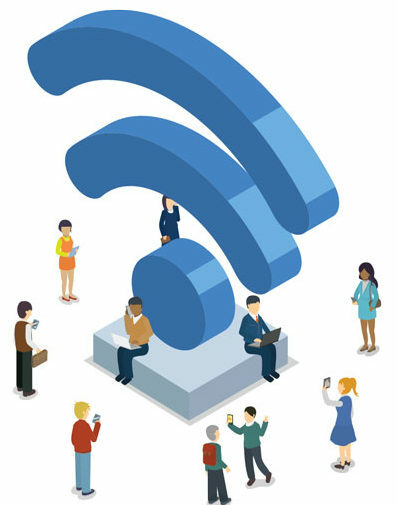 This is an important topic for media development as Wi-Fi, which uses unlicensed spectrum, is responsible for alleviating congestion on mobile networks. The most prominent example of a technology using the unlicensed spectrum is Wi-Fi, which is now responsible for alleviating congestion (“offloading”) of over half of the total data traffic from mobile networks. 26 Worldwide between 2013 and 2016 the number of Wi-Fi hotspots grew almost 600 percent. 27 This explosion of Wi-Fi technology use suggests great demand for unlicensed spectrum, and a need to revisit the notion of spectrum commons. In fact, most of the hotspots are in Central and South America, Africa and Middle East, 28 which shows the importance of this technology for rural areas and underserved communities. Inexpensive, off-the-shelf Wi-Fi routers are also allowing community networks to be deployed and are facilitating “local-to-local communications, allowing individuals to stream video, share local media, and use VoIP for free telephone calls.” 29 Unlicensed spectrum is also important in areas with high population density, where it is largely used for offloading data from mobile networks, giving congested networks additional capacity. The number of connected devices is expected to increase exponentially in the next couple of decades with the rise of the Internet of Things (IoT)— a system of sensors that will connect the physical world to the Internet—and as more people around the world gain access to devices such as smartphones. Ultimately, allowing the use of unlicensed spectrum fosters innovation as capital expenditures decrease and new entrants can try new technologies, or communities can create their own networks. Moreover, if costs for providing the services are lower, the prices of the services also tend to be lower. The difficulty in ensuring stability and quality of service is another concern. Both arguments are not easily proved, as technologies are developing so that interference does not occur and quality of service is ensured. Skeptics of the unlicensed model also argue that it is harder to attract investment from the private sector if exclusive rights do not exist. For some, only less important parts of the spectrum should be available on an unlicensed basis. 30 Regulatory and political challenges are also associated with the creation and maintenance of unlicensed spectrum. Moreover, unlicensed spectrum does not directly generate revenue for governments, what also lowers the interest of policy makers in advocating for it. Having more unlicensed spectrum does not mean that licensed spectrum should no longer exist. Rather, there is a need for a balanced approach that combines both, licensed and unlicensed uses. 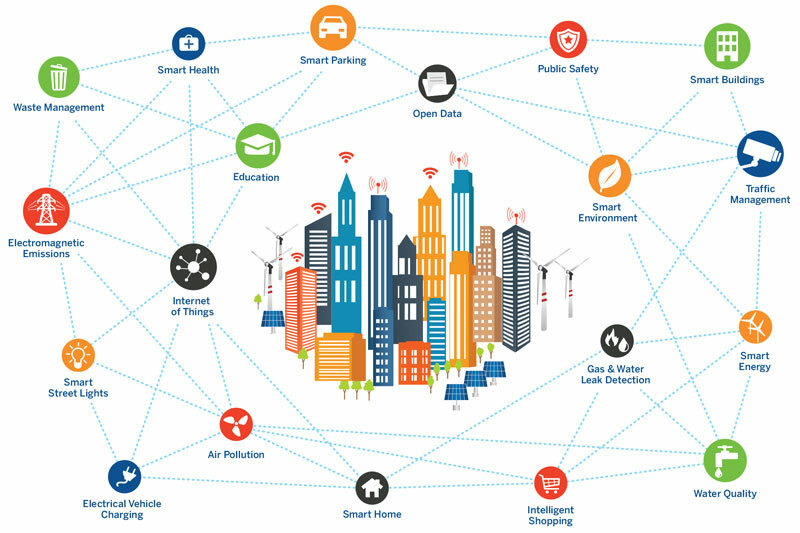 This will be necessary if we are to achieve affordable and ubiquitous connectivity, such as the one needed for the Internet of Things to exist. Eminent scholar Yochai Benkler has noted that, in many contexts, when presented with a policy choice, advanced economies have chosen to regulate in ways that privilege exclusionary based models. 31 The promotion of commons-based spectrum management that relies on unlicensed spectrum allows us to chart a different path forward, one that is potentially more inclusionary and that would allow for more groups to make use of spectrum to share their perspective and exchange information. In terms of media development, this is clearly a winning combination because it would diminish the ability of large players to dominate the airwaves, increasing the opportunities for initiatives such as the development of Wireless Community Networks. The history of communication technologies has been marked by different tensions, including the ones related to centralization and decentralization. In the past years we have seen an increase in the centralization of access points due to a concentration in market of Internet Service Providers (ISPs). Perhaps not surprisingly then, we are also seeing the surge of grassroots networks, or Wireless Community Networks (WCNs). WCNs are networks developed by Wireless Local Network (WLAN) enthusiasts who create all-wireless autonomous networks. Lower equipment costs and the emergence of Wi-Fi present a viable use for unlicensed spectrum and contribute to the emergence of such networks. Due to their technical complexity, debates about spectrum management have not typically engaged a large number of civil society representatives. Government regulators and representatives from the private sector are the ones currently engaged at the highest levels. However, there is evidence that the engagement of civil society has been increasing over the past decade as organizations come to realize how important spectrum management is to the development of healthy media ecosystems. In the past, the International Telecommunications Union (ITU) has been perceived as a “closed shop” not responsive to public interest considerations, and not really a “real partner” of the civil society. 39 This perception has been changing lately as many more groups are becoming engaged in spectrum related discussions. This was especially true in the wake of the first World Summit on the Information Society (WSIS) 40 in 2003, when the Civil Society Declaration released at the end of the meeting specifically addressed spectrum related issues. The document stated that “spectrum planning and regulation should ensure sufficient spectrum and channel capacity, and appropriate technical standards, for community media to develop in both the analogue and the digital environment.” 41 It also declared that “spectrum planning and regulation should ensure equitable access among a plurality of media including sufficient satellite capacity reserved for community media.” The increasing use of wireless technologies for all sorts of news and information dissemination has meant that civil society groups must become involved in these discussions if they want to have sway over what our future media environment will look like. Despite the growing interest, organizations working on such issues are “fragmented and not working together.” 42 According to a survey prepared in 2013 by the Association for Progressive Communications (APC), only half of the respondents believe that the public interest is protected by the way spectrum is managed in their country. 43 Regardless of civil society’s engagement at the ITU and other related international organizations, there is also a lot of work to be done at the national level. While the multi-stakeholder model has been seen as a crucial model to global discussion such as the ones related to Internet governance,44 it can also be a valuable model for the national level deliberative processes. The case of India illustrates how multi-stakeholder processes for spectrum management can be established, as well as potential problems. In India, which liberalized the telecommunications sector in 1994, Telecom Regulatory Authority of India (TRAI) has both regulatory and recommendatory functions, and policy governing spectrum falls into the latter. TRAI makes non-binding recommendations to the Central Government when it comes to spectrum management. The Telecom Commission is the authority that issues final policy decisions in the subject matter. A recent case study developed by Stefanija and Dara (2016) analyzed the multistakeholder processes adopted by TRAI “in developing non-binding policy recommendations for the government of India in the area of spectrum policy.”45 They provided an analysis of the multistakeholder process, and its perceived legitimacy. The authors concluded that although stakeholders were able to voice their concerns, this participation was at times hindered by some barriers. One of them is the publications of the consultations in English only, which can be a barrier to many as the country has 18 national languages. The agenda-setting is top-down, as the consultation processes can only be initiated by TRAI or the central government. Moreover, they argued that the process is dominated by one stakeholder group, telecommunications operators, and diversity needs to be increased. In the decision-making stage, the transparency and involvement of stakeholders was reduced and therefore the legitimacy of the process at such stage is also reduced. The authors raised the necessity of promoting capacity building amongst civil society and academia, as participation in the spectrum related debates demand a high degree of specialization and technical knowledge. Lastly, they also mentioned that lobbying at the level of the executive circumvented the transparency at TRAI and such possibility might undermine the work of the institution. Civil society organizations and activists can positively influence spectrum management in different ways. There is space, for example, for advocating for more unlicensed spectrum, which does not mean that having licensed spectrum is not important anymore. Rather, more unlicensed spectrum opens up the opportunity for new smaller and medium entrants, as well as the deployment of community networks and the use of dynamic spectrum access technologies. Civil society should also advocate for more transparency and participation of civil society in debates related to spectrum management. Many countries do not have proper accountability mechanisms for their spectrum auctions and they do not necessarily treat all companies equally, as they should. Yet, engaging in these issues requires sound knowledge. Only by understanding the technical, legal, economic, and political aspects behind spectrum management decisions is it possible to engage in the debate and make meaningful contributions. Many resources are available to help understand what is at stake with spectrum management policies. NGOs, foundations, universities, and international organizations have developed reports, capacity building materials, tutorials, and online courses. Many regulators and policymaking authorities already have public consultation processes in which public participation is invited. Moreover, even if these channels have not yet been created, it is important to pressure authorities to establish them. Regardless of official venues, fostering the debate and requesting explanations on what the policy and regulatory plans are, and providing inputs to authorities is crucial.At the international level, check what the International Telecommunications Union (ITU), and the regional telecommunications organizations (e.g., CITEL, CEPT) have been doing. Try to engage in the conversation and attend the meetings. Moreover, civil society groups can also contribute to the debates at organizations such as the 3rd Generation Partnership Project (3GPP), and the Institute of Electrical and Electronics Engineers (IEEE). 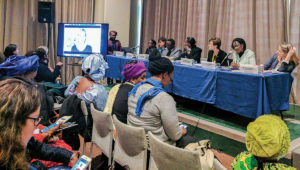 The recently created Internet Governance Forum Dynamic Coalition on Community Connectivity (DC3) aims to foster multistakeholder analysis of the various types and models of community networks. 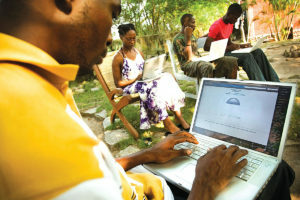 This is a new avenue for those interested in understanding best practices for Internet connectivity in local communities. Different organizations and individuals are already involved on this debate. It is important to be aware of the diverse interests these groups might have. Moreover, attend meetings that might address spectrum policy and regulation aspects, join online discussion groups, and create your own discussion groups. EXAMPLES OF ORGANIZATIONS WORKING ON SPECTRUM RELATED ISSUES: Association for Progressive Communications (South Africa); Intervozes (Brazil); Digital Empowerment Foundation (India); and Altermundi (Argentina). Nathalia Foditsch is a licensed Brazilian attorney focused on communications policy and regulation. Her interest in such topics started when she worked for the Brazilian Antitrust Authority (CADE). 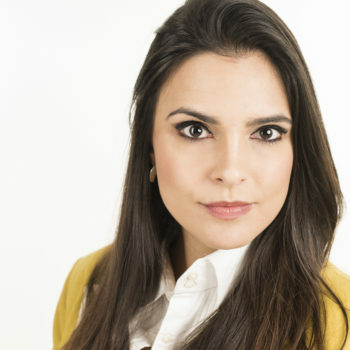 She has worked for several Internet and telecom policy related organizations such as the Broadband Special Programme at the Inter-American Development Bank and the Center of Technology and Society at Getúlio Vargas Foundation. She is co-editor and co-author of the book “Broadband in Brazil, Past, Present, Future” (Novo Século, 2016), which is available in English and Portuguese. She has co-lectured in Comparative U.S. Brazil Legal and Judicial Systems at the Washington College of Law at American University and is currently a research fellow with Cornell’s Emerging Markets Institute at the Samuel Curtis Johnson Graduate School of Management and also with the Internet Governance Lab at American University. Foditsch holds a Master’s in Law and a Master’s in Public Policy. Red Lion v. FCC, 395 U.S. 367, 376 (1969). Coase, R. H. 1959. “The Federal Communications Commission.” The Journal of Law & Economics 2: 1–40; and Coase, Ronald, Meckling, William, and Minasian, Jora. 1963. Problems of radio frequency allocation. Rand. http://www.rand.org/content/dam/ rand/pubs/drafts/2008/DRU1219.pdf. Accessed February 3, 2017. García Zaballos, Antonio, Foditsch, Nathalia. 2015. “Spectrum Management: The Key Lever for Achieving Universality.” InterAmerican Development Bank. http://publications.iadb.org/ handle/11319/7040. Noam, Eli. 1997. “The Role of Wireless Communications in the Public Network Beyond Spectrum Auctions. Taking the next step to open spectrum access”. Telecommunications Policy 21 (5): 461–75. Some recent auctions around the world have not even included mandatory coverage obligations, in order to raise a higher amount of money from the auction. An example is the 700MHz band auction in Brazil in September 2014, which, unlike other auctions, has not included such obligations (Brazil, 2015). In the case of Chile’s auction of the 700MHz, also undertaken in 2014, The available spectrum was sold at low prices by international standards, but coverage and services commitments were established (GSMA, 2014). Wallsten, Scott. 2013. “Is There Really a Spectrum Crisis? Quantifying the Factors Affecting Spectrum License Value.” Social Science Research Network. http://papers.ssrn.com/ abstract=2206466; and Thomas Lenard, and Lawrence White. 2013. “The Spectrum Crunch, MSS Spectrum and LightSquared”. https://techpolicyinstitute.org/wp-content/uploads/2013/04/ the-spectrum-crunch-mss-spectr-2007656.pdf. Chapin, John, and William Lehr. 2011. “Mobile Broadband Growth, Spectrum Scarcity, and Sustainable Competition”. SSRN Scholarly Paper ID 1992423. Rochester, NY: Social Science Research Network. http://papers.ssrn.com/abstract=1992423; and Hazlett, Thomas W. “Radio spectrum for a hungry wireless world.” Mobile Future. Sep 22 (2011): 41. http://mobilefuture.org/ wp-content/uploads/2013/02/mobile-future.publications.mobilespectrum.pdf. Accessed February 3, 2017. Benkler, Yochai. 2002. “Some Economics of Wireless Communications”. https://dash.harvard.edu/handle/1/11363067; and Simon Forge, Robert Horvitz, and Colin Blackman. 2012. “Perspectives on the value of shared spectrum access.” European Commission. https://ec.europa.eu/digital-singlemarket/sites/digital-agenda/files/scf_study_shared_spectrum_ access_20120210.pdf. Accessed February 3, 2017. Countries have chosen different band plans for the digital dividend. For example, countries that follow the Conference for Postal and Telecommunications Administrations (CEPT) have chosen the 800 MHz band, while countries that follow the Asia-Pacific Telecommunity (APT) and the Inter-American Telecommunications Commission (CITEL) have chosen the 700 MHz band. While the freed bands of spectrum are predominantly going to be used for wireless broadband following ITU harmonization decisions, television channels will continue to operate under different bands. The United Nations (UN) Special Rapporteur on Freedom of Opinion and Expression, the Organization for Security and Co-operation in Europe (OSCE) Representative on Freedom of the Media, the Organization of American States (OAS) Special Rapporteur on Freedom of Expression and the African Commission on Human and Peoples’ Rights (ACHPR) Special Rapporteur on Freedom of Expression and Access to Information. 2013. Joint Declaration on the Protection of Freedom of Expression and Diversity in the Digital Terrestrial Transition. Available at http://www.oas.org/en/iachr/expression/showarticle. asp?artID=921&lID=1. Accessed February 2, 2017. Mazar, Haim. 2016. Radio Spectrum Management: Policies, Regulations and Techniques. John Wiley & Sons. GSMA, 2016. “Espectro en America Latina: Aspectos clave para el crecimiento en la región”. http://www.gsma.com/latinamerica/wp-content/uploads/2016/05/brochure-espectro_2016-ES.pdf. Accessed February 3, 2017. Dynamic Spectrum Alliance. “Pilots.” See a list of Commercial deployments, pilots and trials of the Dynamic Spectrum Alliance at http://dynamicspectrumalliance.org/pilots/. Accessed February 2, 2017. Werbach, Kevin, and Aalok Mehta. 2014. 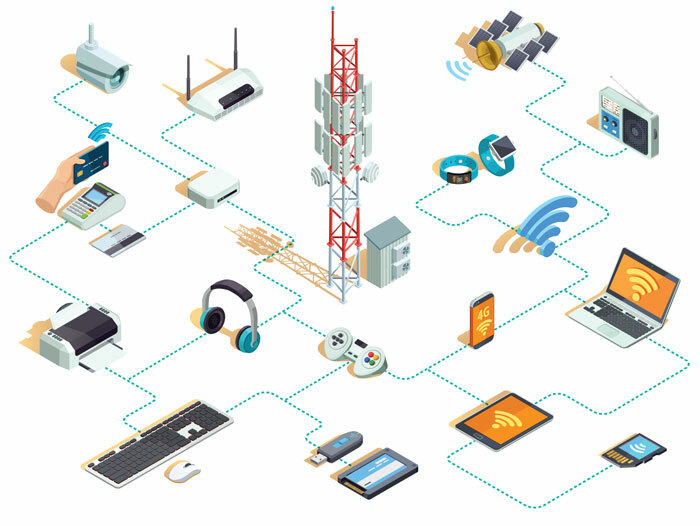 “The Spectrum Opportunity: Sharing as the Solution to the Wireless Crunch”. International Journal of Communication (19328036) 8: 128–49. OfCom. 2015 “Implementing TV White Spaces” https://www. ofcom.org.uk/__data/assets/pdf_file/0034/68668/tvwsstatement.pdf. Accessed February 3, 2017. Dimitrov, Svilen, e Harald Haas. 2015. Principles of LED Light. 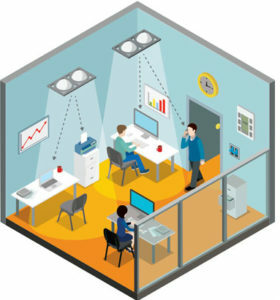 Communications: Towards Networked Li-Fi. Cambridge University Press. Dimitrov, Svilen, e Harald Haas. 2015. Principles of LED Light Communications: Towards Networked Li-Fi. Cambridge University Press. Kulkarni, Nitish. “Li-Fi Probably Won’t Be The New Wi-Fi For Most People.” November 26, 2015. TechCrunch. http://social. techcrunch.com/2015/11/29/li-fi-probably-wont-be-the-new-wi- fi-for-most-people/. Accessed February 2, 2017. ITU. 2016. “ICT Facts and Figures 2016.”. http://www.itu.int/ en/ITU-D/Statistics/Pages/facts/default.aspx. Accessed February 2, 2017. Foditsch, Nathalia; Belli, Luca. 2016. “From Scarcity to Abundance: The Debate on the Efficient Use of the Electromagnetic Spectrum” in “Broadband in Brazil: past, present, and future”. Novo Século. Alleven, Monica. “Broadcom engineers explain why they’re still concerned about LTE-U.” August 8, 2016. FierceWireless. http:// www.fiercewireless.com/tech/broadcom-engineers-explain-whythey-re-still-concerned-about-lte-u. Accessed February 2, 2017. Meinrath, Sascha D., James Losey, and Benjamin Lennett. 2013. “Afterword. Internet Freedom, Nuanced Digital Divide, and the Internet Craftsman”. In The Digital Divide: The Internet and Social Inequality in International Perspective, 309–16. Routledge. http://su.diva-portal.org/smash/record. jsf?pid=diva2%3A693036&dswid=-9394; and See Benkler, Yochai. 2002. “Some Economics of Wireless Communications”. https://dash.harvard.edu/handle/1/11363067; and Simon Forge, Robert Horvitz, e Colin Blackman. 2012. “Perspectives on the value of shared spectrum access.” European Commission. 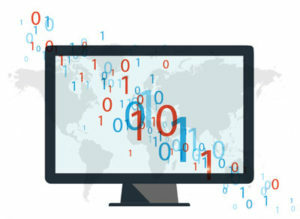 https://ec.europa.eu/digital-single-market/sites/digitalagenda/files/scf_study_shared_spectrum_access_20120210. pdf; and Lessig, Lawrence. 2001. The future of ideas: the fate of the commons in a connected world. 1st ed. New York: Random House; and Noam, Eli. 1997. “The Role of Wireless Communications in the Public Network Beyond spectrum auctions. Taking the next step to open spectrum access.” Telecommunications Policy 21 (5): 461–75. CISCO. 2016. “Cisco Visual Networking Index: Global Mobile Data Traffic Forecast Update, 2015–2020.” Last Modified February 1, 2 0 1 7. http://www.cisco.com/c/en/us/solutions/collateral/ service-provider/visual-networking-index-vni/mobile-whitepaper-c11-520862.html. Accessed February 2, 2017.
iPass. “Wi-Fi Growth Map.”. http://www.ipass.com/wifi-growthmap/index.html. Accessed February 2, 2017. Meinrath, Sascha D., James Losey, and Benjamin Lennett. 2013. “Afterword. Internet Freedom, Nuanced Digital Divide, and the Internet Craftsman”. In The Digital Divide: The Internet and Social Inequality in International Perspective, 309–16. Routledge. Hazlett, Thomas W., and Evan T. Leo. “The case for liberal spectrum licenses: A technical and economic perspective.” Berkeley Technology Law Journal 26, no. 2 (2011): 1037–1101. Frangoudis, Pantelis A., George C. Polyzos, and Vasileios P. Kemerlis. “Wireless community networks: an alternative approach for nomadic broadband network access.” IEEE Communications Magazine 49, no. 5 (2011): 206–213. De Filippi, Primavera, and Félix Tréguer. “Wireless Community Networks: Towards a Public Policy for the Network Commons?” In Net Neutrality Compendium, pp. 261–270. Springer International Publishing, 2016. See more information at https://freifunk.net. Accessed February 3, 2017. Lopez, Oscar. “’Hacktivists’ Keep Refugees Online in Deadzone Germany.” July 7, 2016. Newsweek. http://www.newsweek.com/2016/07/22/hacktivists-refugees-online-germany-478914.html. Accessed February 2, 2017. Project “Wireless Network in the Developing World”. http://wndw.net/. Accessed February 2, 2017. Drake, William. 2007. “Opening the Door to Civil Society Participation in the ITU”. Presented at Informal consultation between ITU and civil society on the participation of all relevant stakeholders, ITU, Geneva. The UN General Assembly Resolution 56/183 (21 December 2001) endorsed the holding of the World Summit on the Information Society (WSIS) in two phases. The first phase took place in Geneva from 10 to 12 December 2003 and the second phase took place in Tunis, from 16 to 18 November 2005. WSIS Civil Society Plenary (2003). Shaping Information Society for Human Needs: Civil Society Declaration to the World Summit on the Information Society. APC. 2013. “Communications rights ten years after WSIS: Civil society perceptions and policy advocacy.” Association for Progressive Communications. 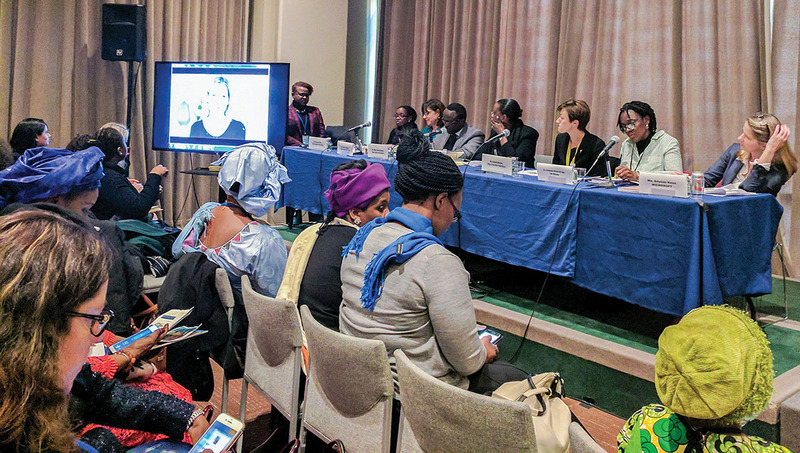 https://www.apc.org/en/projects/communications-rights-ten-years-after-wsis-civil-s. Accessed February 3, 2017. DeNardis, Laura. The global war for Internet governance. Yale University Press, 2014. Ana Stefanija, e Rishabh Dara. 2016. “Multistakeholder Governance in Spectrum Management: the case of Telecom Regulatory Authority of India”. Berkman Center for Internet & Society at Harvard University. https://cyber.harvard.edu/sites/cyber.harvard.edu/files/Publish_Ana%20Stefanija%20and%20Rishabh%20Dara.pdf. Accessed February 3, 2017.